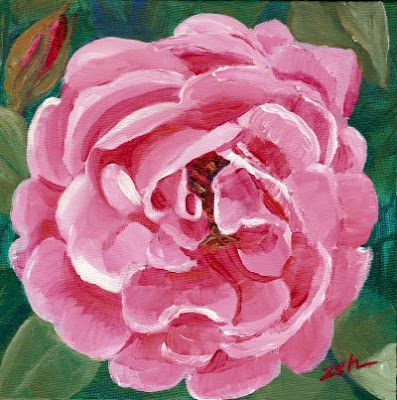 This is a smaller version of an acrylic rose painting that I had at my outdoor shows this summer. It was a big hit, and so even though that one is no longer available, I thought I'd do one for you. Young people especially love the acrylic flower paintings for their brilliant color. If you have a young couple or student on your shopping list who needs something for their walls, this could just be it!